My husband grew up in a home where bread was a staple of every meal. Don’t get me wrong, I like bread, but I can’t do it with every meal. However, we try to compromise and I try to make sure there’s some sort of loaf or rolls, at least for him, as part of his dinner. When Money Saving Mom originally posted this recipe, I tried it that very night and it’s been a regular part of the cast of characters for dinner ever since. I love these because they’re very little work, especially while I’m preparing the rest of the meal, yet they’re incredibly moist and fluffy. The oatmeal also adds an extra boost of nutrients to fortify my guys. Besides, nothing beats rolls fresh from your own oven. That I can get behind at any meal! Combine the hot water, honey, butter, brown sugar and salt in one bowl. 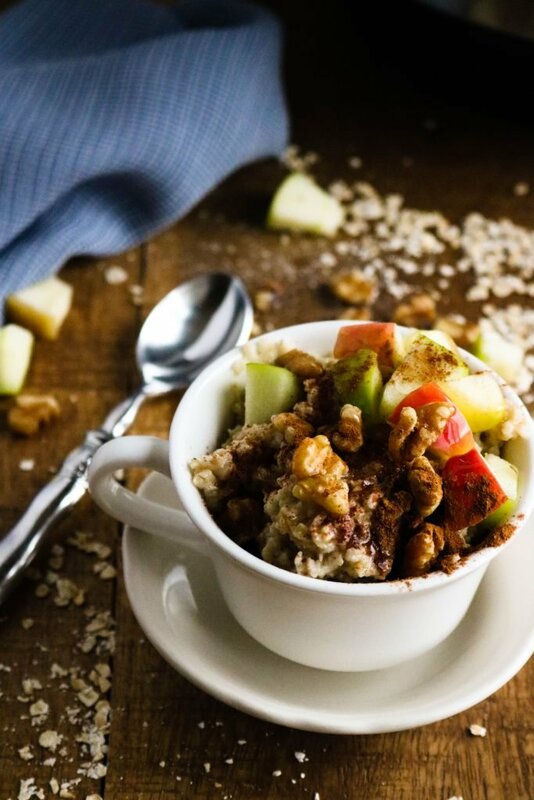 In the bowl of a stand mixer, combine together the yeast, oats, whole wheat flour, and about one cup of white flour. Pour wet ingredients into dry, and mix for 1-2 minutes. Stir in the additional white flour until the dough forms a ball. Knead, by hand or in the mixer using a dough hook, for 5-7 minutes. Roll into 24 balls (if dough is too sticky, flour your hands and/or add extra flour as needed) and place in a greased 9″x13″ pan. Let rise another 30-45 minutes. Bake 350 degrees for 18-22 minutes, or until golden brown (cover with foil if necessary the last few minutes to prevent over-browning). 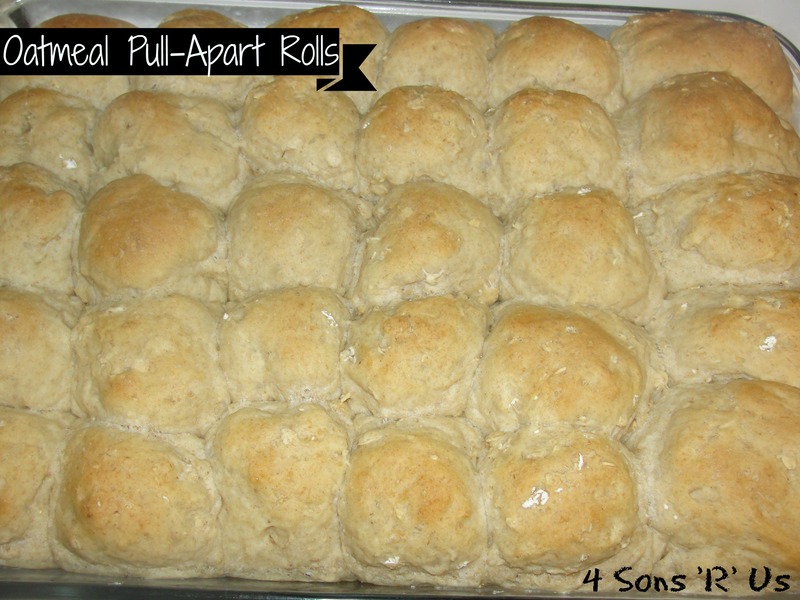 Brush tops of warm rolls with melted butter immediately. Serve warm with butter.